Chair in the Shade: Musical Mondays- Modest Mouse's "Float On"
This week's Musical Monday is a bit of a throw back. I remember buying this CD from the BMG Music Club. Remember that? It was the one where you had to reply each month or they'd send you the featured selection? It came out in 2004 which means it's been around for ten years! When did I get so old? I could swear it was from just a couple years ago. So head over to My So Called Chaos and see what everyone else is listening to. 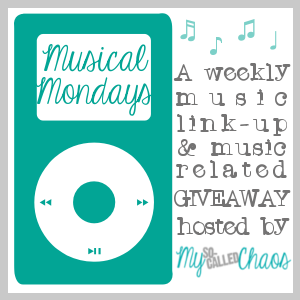 And if you're a blogger, why don't you link up to Musical Mondays? It's a lot of fun! "Float On" will never get old. One of my all-time favorites. This is such a great song. All about the don't worry, be happy.